Have you ever had a car accident? Or has your child ever been bitten by a snake? We hope, of course, that these things will never happen to you. If, however, you urgently need help one day, maybe even in a different country, this app will tell you where to call. 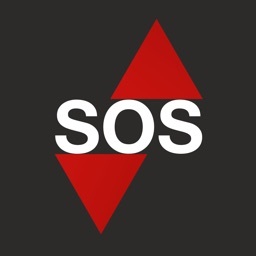 - Almost 1000 emergency phone numbers! - As requested by many users, now with GPS positioning, map, and address indication! 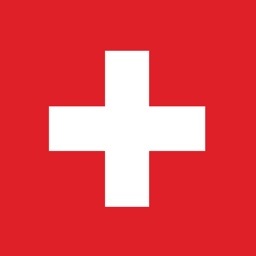 The previous version of Emergency Call has been TOP RATED by the German magazine "Auto Straßenverkehr". And the new version got even better! 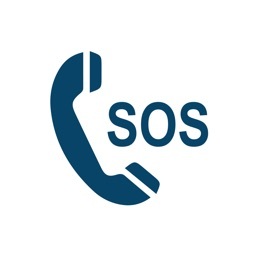 With the Emergency Call App you have the most important emergency numbers in the United States, the United Kingdom, Germany, Switzerland, and Austria, always in your pocket. 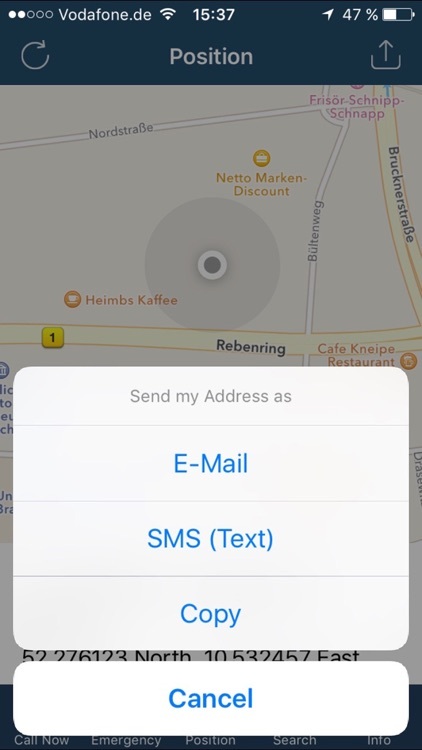 On your iPhone the app will determine your current GPS position and, if possible, also the address. The integrated direct call feature provides immediate access to the most important numbers and helps you to save valuable time in case of an emergency. As your companion in everyday´s life, it gives you additional safeness and serves as an indispensable tool for tourists! 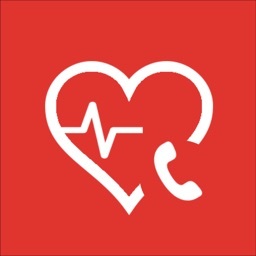 All important emergency cases like fire, injuries, poisoning, accidents, lost or stolen credit cards, lost mobile phones, touristic problems or insurance issues are covered by the emergency phone book in the app (for US, UK, DE, AT, CH, in many other countries only med. emergencies). A list of the most important numbers is available for a better overview. All numbers are available offline! Almost all entries include internet addresses which can be browsed from within the app. On the iPhone, the positioning function shows the current GPS position both in the map and as GPS coordinates. Additionally, the app determines your address, if possible. 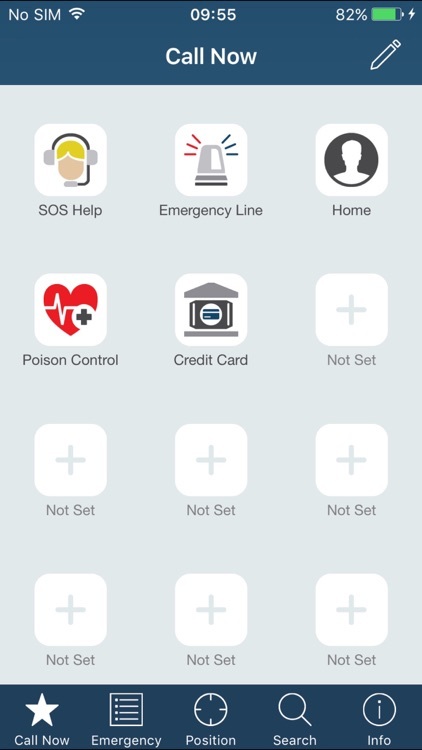 This allows you to direct the emergency services straight to the right place. This feature depends on the availability and reception quality of the GPS signal, it may therefore provide inexact results. You can place selected numbers on the direct call screen on your iPhone, also numbers from your personal contacts. The other way around, it is also possible to copy emergency numbers to your personal phonebook. 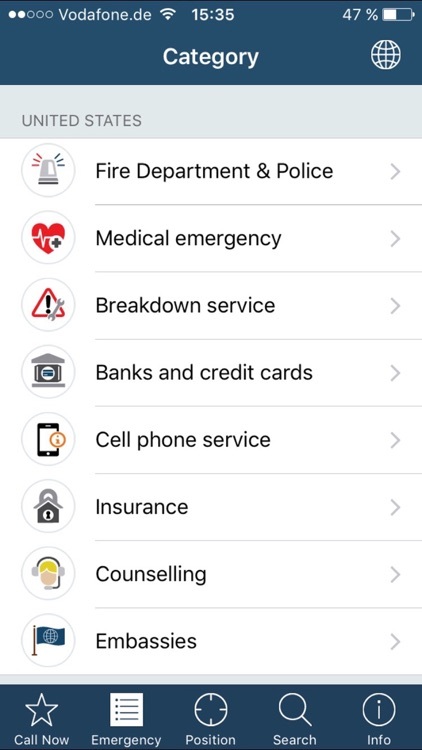 The emergency numbers are clearly categorized for each country using the categories fire service & police, medical emergencies, roadside service, lost/stolen credit cards, phone services, legal advice, insurances, counselling services and embassies. 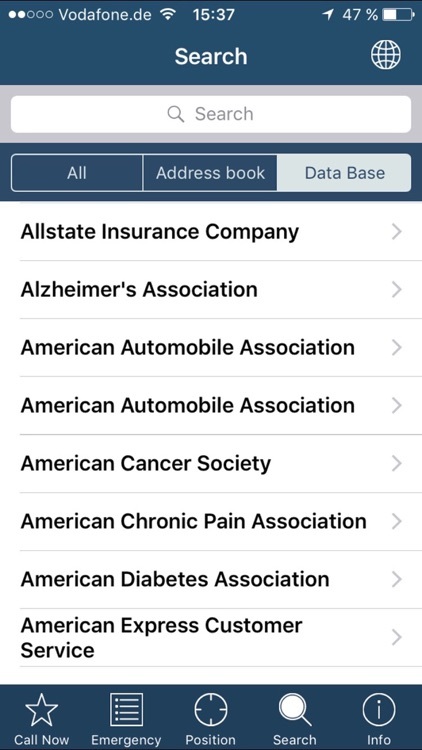 A search function allows you to conveniently find entries both in the emergency phone book and in your personal contacts list on the device. 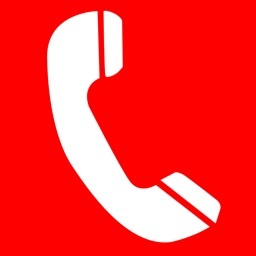 Phone calls to the given numbers are charged depending on your mobile phone provider. We have no influence on this. Please send your feedback and comments to [email protected] We will be happy to answer your questions.